University of Mississippi instructor Kristi Waterson was found dead in the apartment she shared with her cousin. Indications at the scene pointed to suicide, but investigators had their doubts. While the coroner works to pinpoint the cause and manner of death, Detectives Armstrong and Murphy are investigating whether Kristi had any enemies. Who could've wanted this young woman dead? The investigation into Kristi Waterson's death is ongoing. Case documents are presented in reverse chronological order in the Case Files section. 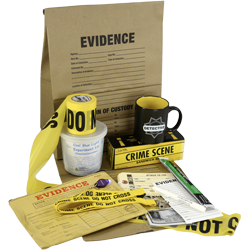 There are four types of case documents: Evidence, Interviews, Biographies, and Press. Click the relevant tag at the top of the Case Files page to filter by document type.